Here is a corollary to Heart. This is a two-fold topic; the first part is finding joy in your creativity, joy in filling empty pages with words. It should be fulfilling in some way even if we’re frustrated with a project. Immerse yourself in the process and wring from it every last drop of joy and satisfaction. It’s an inner game. We may need to suspend thinking about our plans for the piece. We may need to shut our minds to the process of publishing (or not). It takes a bit of determination and a bit of courage at the start. Letting yourself feel the joy of creating is allowed. In fact, it’s encouraged! If you don’t enjoy it, why do it? The second part is letting go. When the project is done to the best of your ability (including beta readers and editors perhaps) it is time to move on to your next project. There’s a saying that a book isn’t finished by the writer. It’s finished by the reader. An artist doesn’t finish a canvas. The viewer does. Our experience with a piece ends when we’re done. We get to keep the joy and satisfaction of its creation. We get to keep all we learned and all we expressed. Now it’s time to drop it like ripe fruit. Now is the time for your work to live in the world. It doesn’t matter what the world thinks of it. Not really. The world can’t steal your joy in the creative process. And remember, people interact with books and art based on where they are and what they see. We have no control over their interpretation or experience. There’s no need to pay attention to who examines your fruit, who turns away from it, or who takes a bite. Your job is to keep making those fruits with sheer joy. No one can take that from you. How much joy are you experiencing in your creative life? Are you finding fulfillment? If not, what steps could you take to get more? 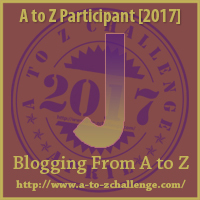 This entry was posted in A - Z 2017, General and tagged A - Z 2017, Creative Writing, inspiration, Robyn LaRue, writing. Bookmark the permalink. Excellent. I’ll reblog the quote and link back to you one day soon. I think my fear is that when I drop my fruit, it rots away uneaten, not even glanced at. But this, like all fears, is a false dilemma. As IF I could have eaten it myself instead. Great text and a great reminder to why we do this thing in the first place! I feel like Manja too, that the fruit may just lie there unnoticed. but then again, as she said, is just one of the many fears out there. It doesn’t need to stop me in my doing.